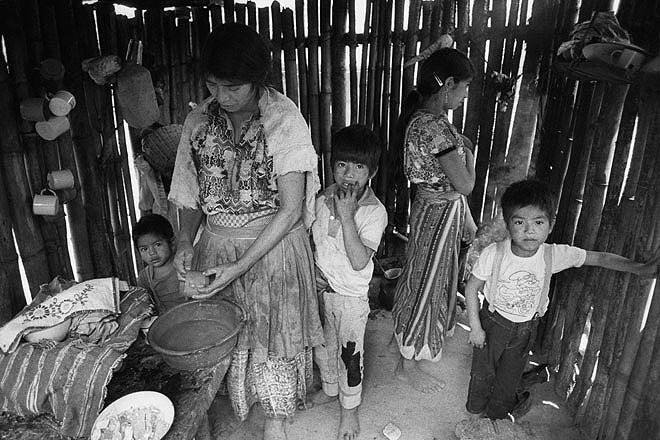 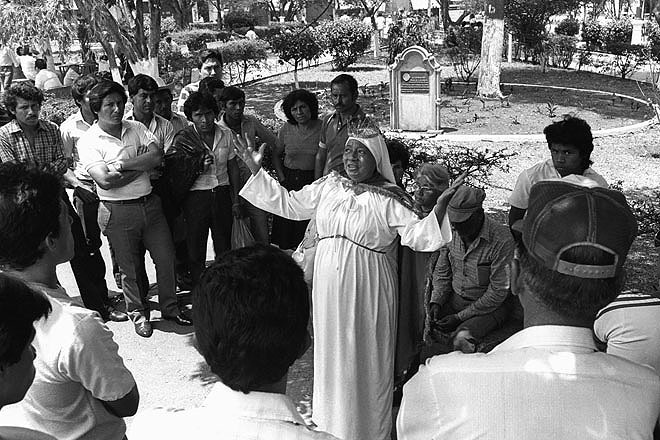 Woman preparing food for her children in the province of San Marcos. 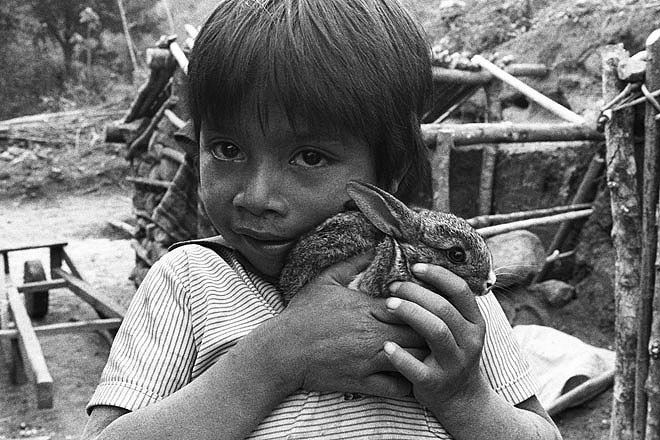 The seven years old Santos Romero with one of his rabbits in the small village Las Barrancas in the province of San Marcos. 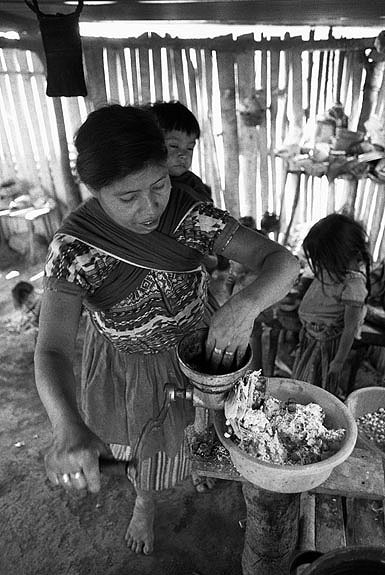 Woman preparing food for her family in the province of San Marcos. 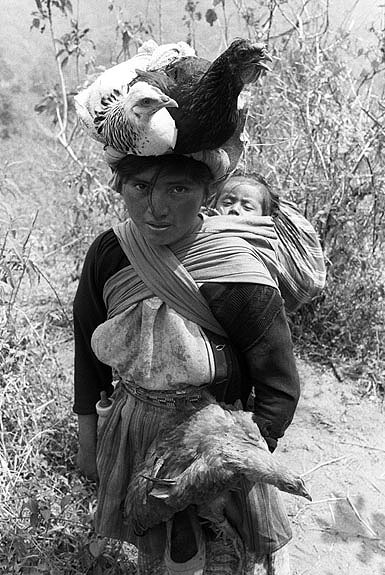 Woman on her way home from the local market, carrying two live hens on her head and her baby on her back in the province of San Marcos. 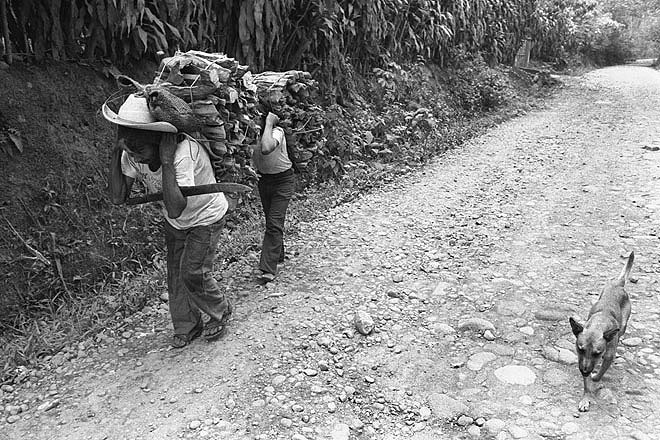 Peasants carrying firewood in the province of Suchitepe Quez. 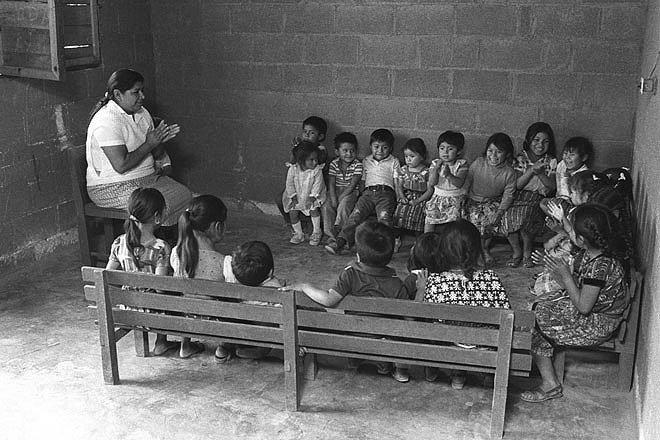 Sunday school at a Presbyterian parish in Chimaltenango. 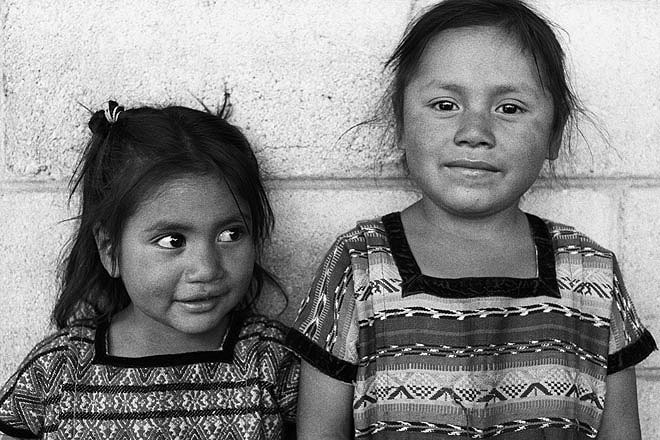 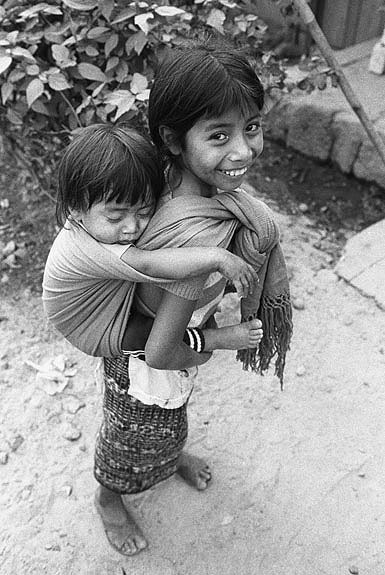 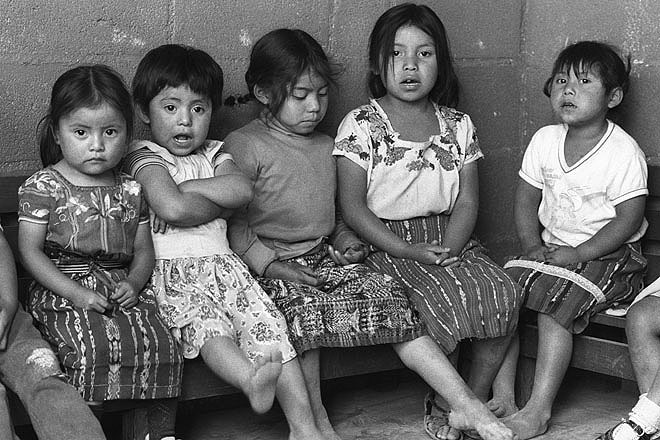 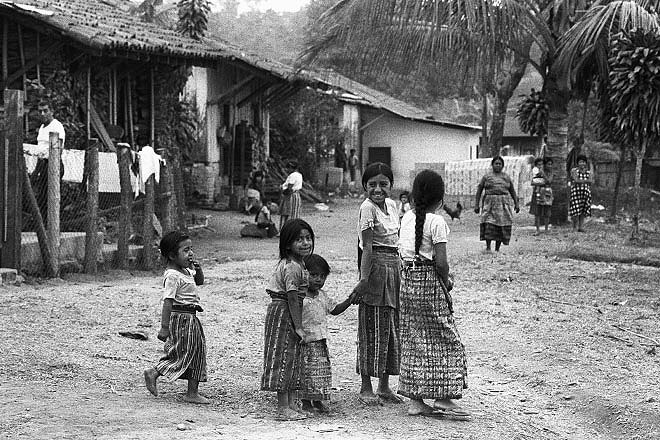 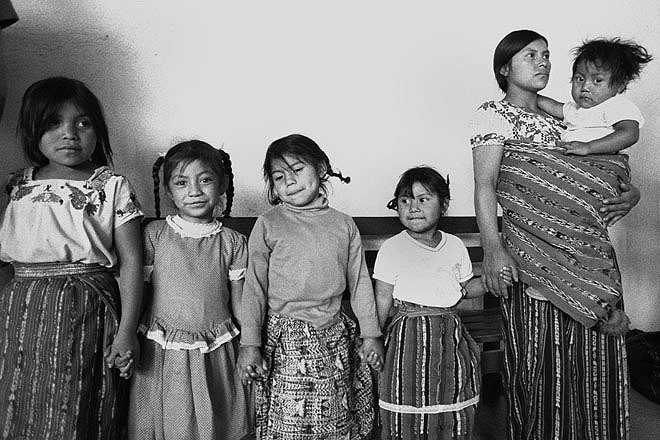 Orphans in the Province of Chichicastenango. 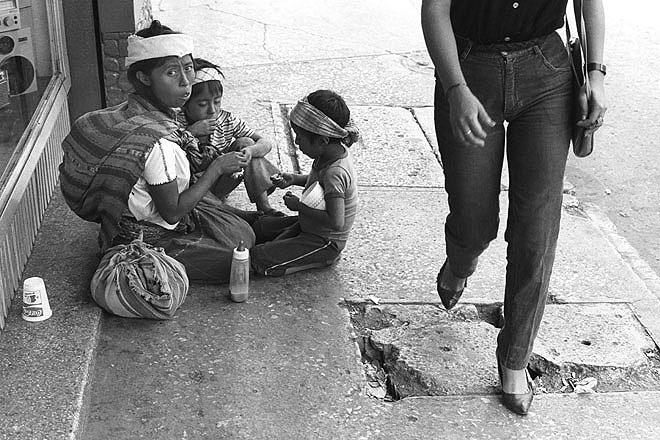 Mother with her children on the sidewalk in Guatemala City. 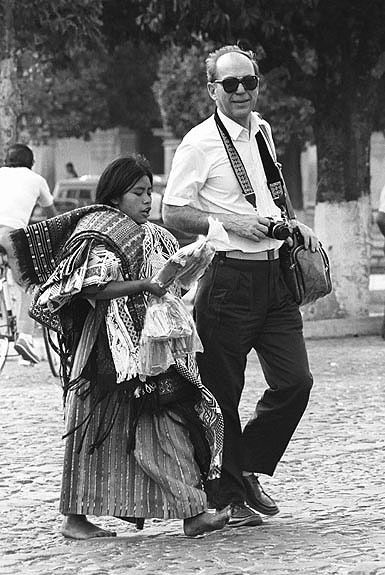 Tourist in Antigua followed by a young woman trying to selling souvenirs. 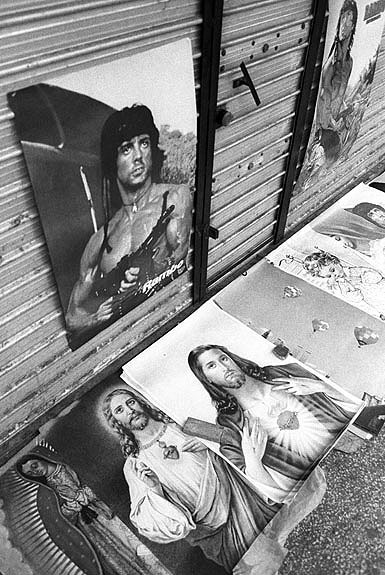 Christ and Rambo poster to sale in Guatemala City. 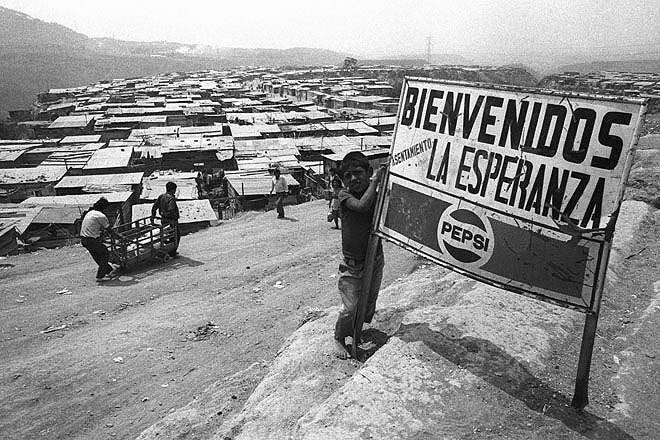 La Esperanza, one of the fastest growing slums in the outskirts of Guatemala City. 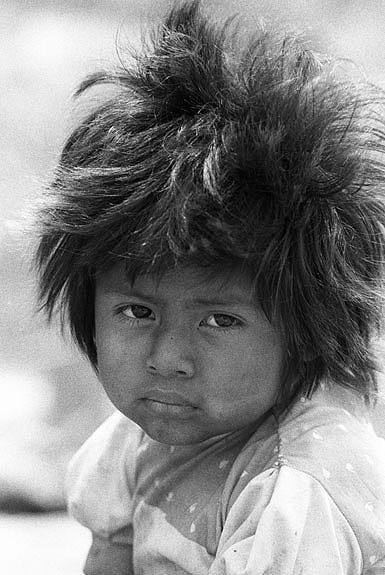 A small girl in La Esperanza, one of the fastest growing slums on the outskirts of Guatemala City. 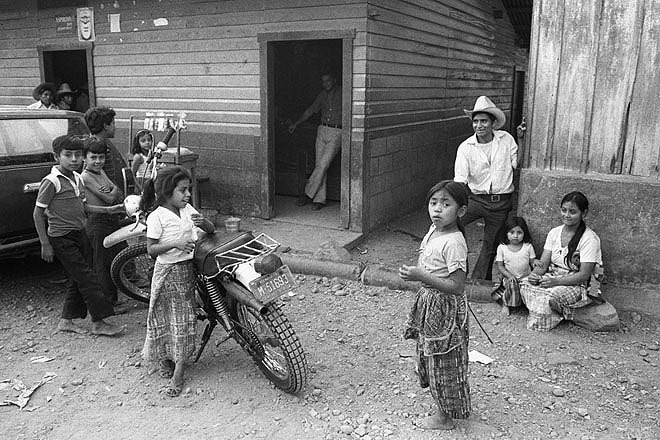 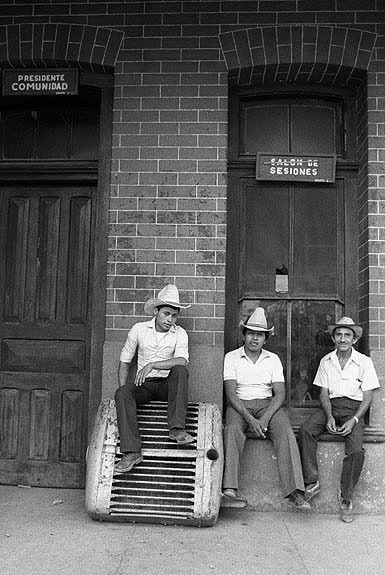 Chocola, a small village in Suchitepe Quez Province. 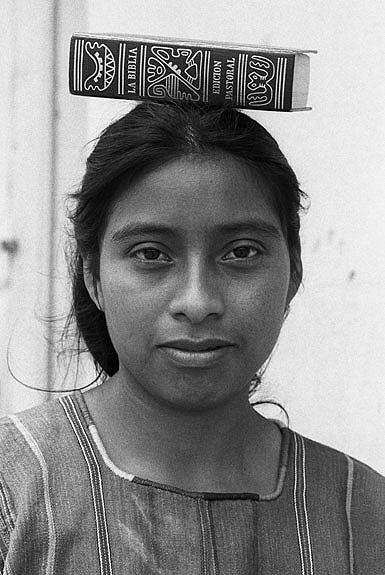 Young woman on the way home from a Presbyterian church in Chimaltenango, carrying the bible on the head.